Sleeps 6-8. 3 bedrooms, 2 queen beds, 4 single bunks. 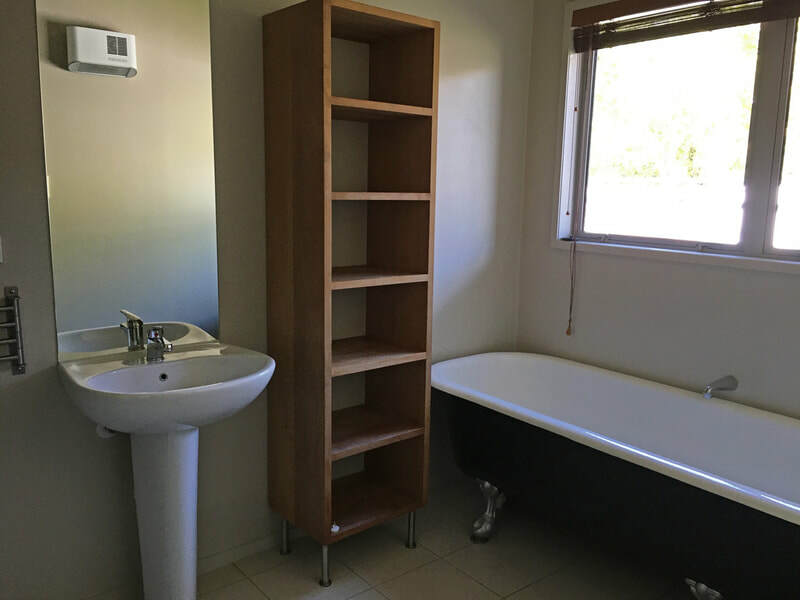 One bathroom with shower and bath - separate toilet. 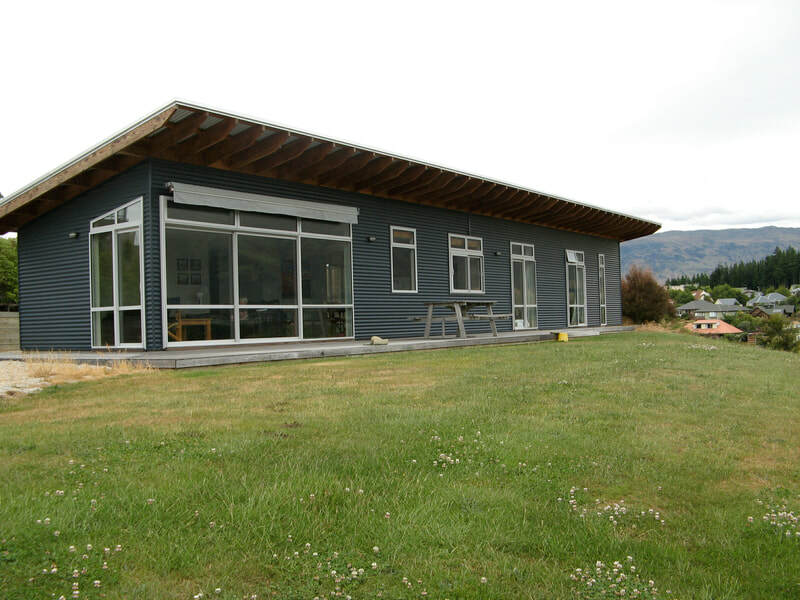 Contemporary holiday home in Wanaka clad in Zincalume and Colour Steel reflecting the colours of the Wanaka area. 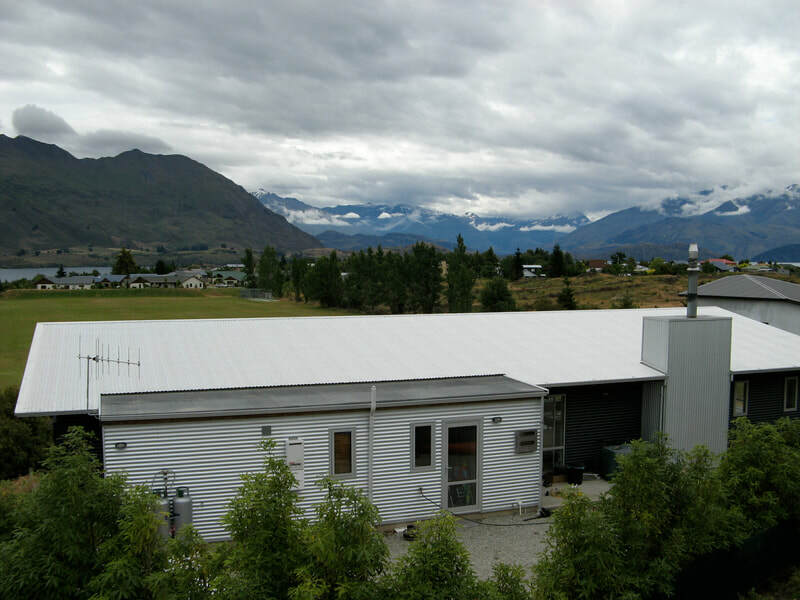 Large section with excellent views of Mt Roy and the Southern Alps. Centrally situated overlooking playing fields, the house is 15 minutes walk to the Wanaka town centre and lake Wanaka. 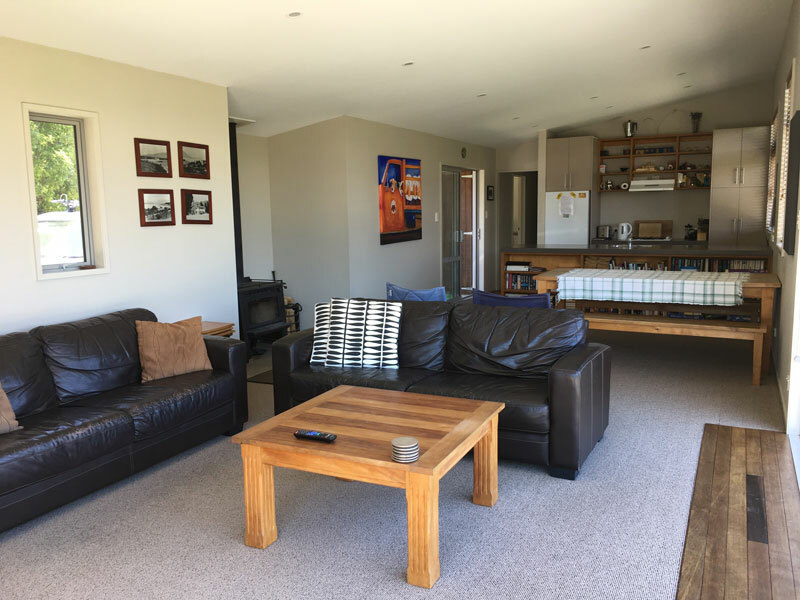 The house is fully self-contained with logburner (wood supplied), gas hob, dishwasher, fridge/freezer, gas barbeque, TV, Video, DVD, CD player and washing machine. Large open-plan, sunny kitchen/dining/living area opening onto large outdoor deck. Expansive bathroom with large claw foot bath and separate zincalume lined shower. Gas water heating ensures a constant supply. A separate toilet is adjacent with its own basin. Large laundry with extensive storage for all those holiday needs. 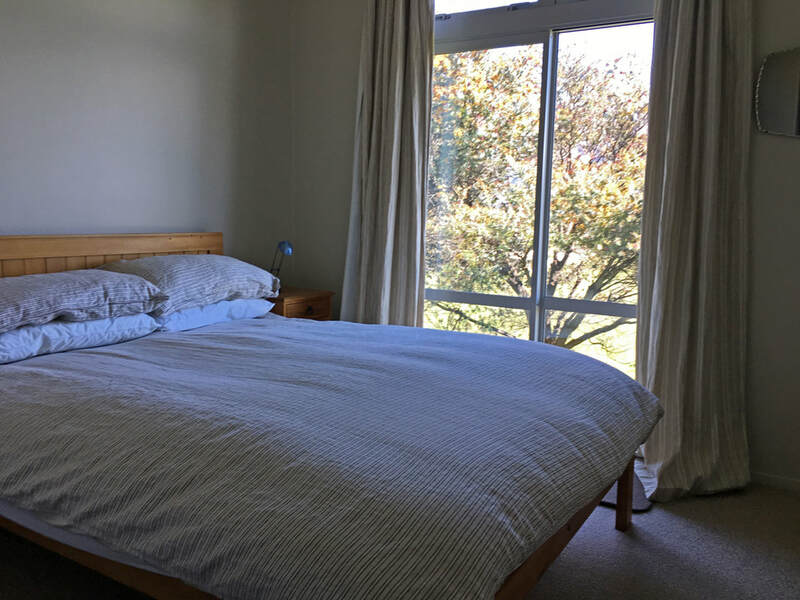 The 3 bedrooms are west facing with bedroom 1 & 2 opening onto the deck and have large wardrobes for storage. 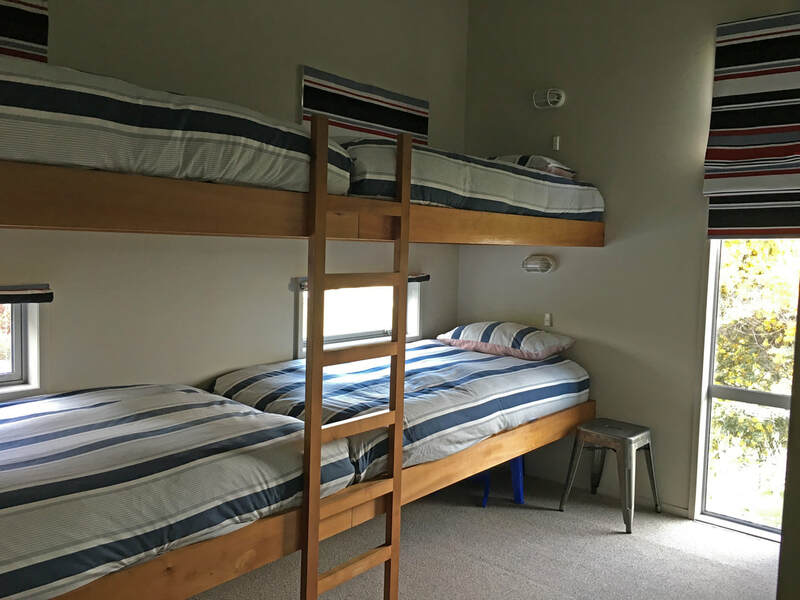 Bedroom 3 is a bunk room with 4 in-built bunks each with their own windows and lights. All mattresses, pillows and duvets are new and very comfortable. 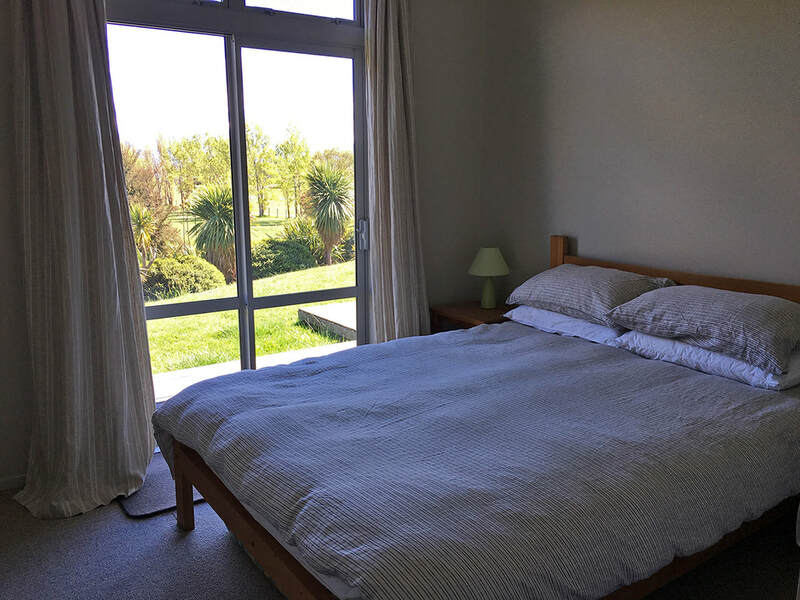 Carpeted in bedrooms and living, tiles in wet areas. 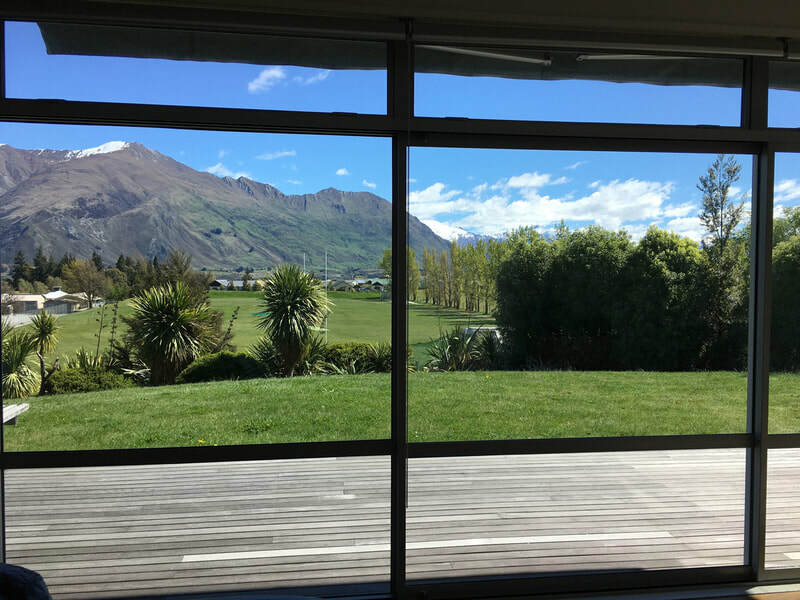 Double glazed throughout maximising our view while keeping us very cosy in winter. Back section ensures low road noise with off street parking available for several vehicles. Linen not provided but can be requested from our supplier - around $10 per person plus $18 delivery fee. We require our cleaner to be used with ALL STAYS. Surcharges may apply for public holidays, school holidays & special events. Weekly rate includes cleaner at the end of your stay. Cleaner can be arranged mid week for $90. We can also arrange for your fridge to be stocked - beds made etc. Two fantastic playgrounds nearby. Fantastic walks, climbing wall, bus tours, fishing (lake & river), golf, jet boating, lake cruises, heated swimming pool, awesome movie theatres - watch a movie enjoying a wine and eating homemade icecream, museums (Warbirds Museum and Transport & Toy Museum), restaurants, bars, shooting (clay & rifle), skiing, snowboarding, speciality & boutique shops, wineries & vineyards (self-drive or organised tours). 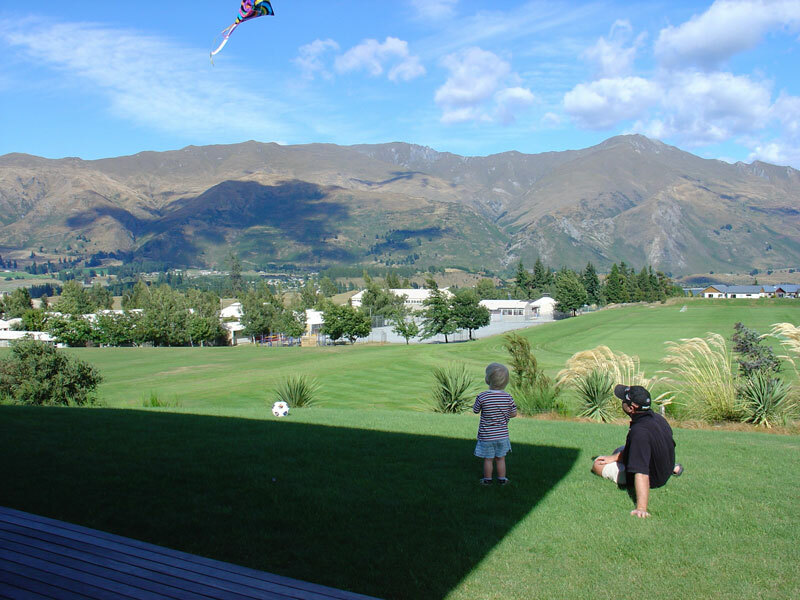 Queenstown (1 hour drive) where you will find the adventure capital of NZ, bungee jumping, gondola, amazing shopping plus loads more!